A DNA fingerprint is a piece of DNA so distinct that it can prove a person's identity. These distinct areas can take on many different forms, but each form is unique to any one individual. The probability that two people received exactly the same number of repeated sequences from their two parents is one in several hundred trillion, according to Dr. D. P. Lyle in "Forensics for Dummies." DNA strands are composed of four basic components--guanine (G), cytosine (C), thymine (T) and adenine (A)--strung together in A-T or G-C pairs called base pairs. 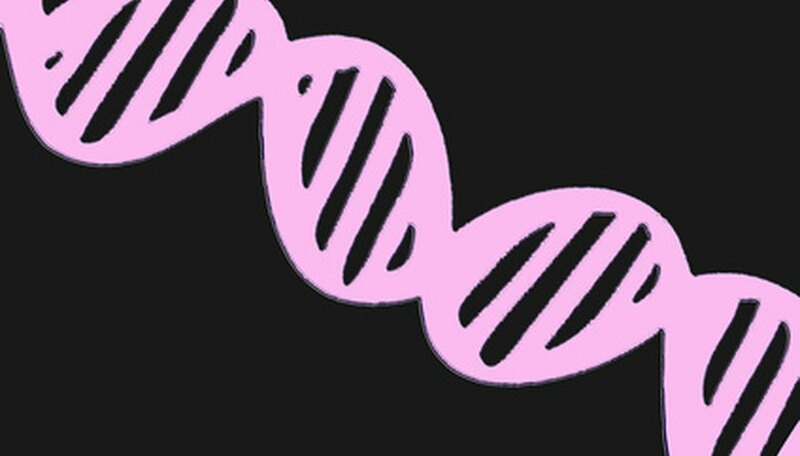 Each DNA strand contains millions of base pairs. Scientists isolate and analyze distinct areas of these base pairs to find DNA fingerprints. When scientists first began mapping the human genome--our DNA--they were interested in genes, as they thought genes made each person unique. They discovered that most of the genome was long strings of base pairs that seemed to have no purpose. They nicknamed these long sequences “junk DNA.” In 1985, Alec Jeffreys and his colleagues discovered that “junk” was a truly unique identification tool. Based on Jeffreys’ research, two sequences are used as DNA fingerprints. The first one is called variable number tandem repeats (VNTRs), where the same pattern repeats several times throughout a specific area of the DNA strand, but can be hundreds of base pairs long. The second type, short tandem repeats (STRs), also repeat numerous times, but are usually only three to seven base pairs long. Because these strands are so short, they can be used even when a DNA sample is severely degraded, Lyle says. In the laboratory, DNA samples are extracted, cut and then separated using electrophoresis. After being transferred to a nylon membrane, the fragments are tagged and the fingerprint pattern is identified. Although two unrelated people can have the same VNTR or STR sequences, scientists look at the fingerprints from 12 different locations in the DNA strand. It's possible that 1 in 100 people may share the same repeat at one location; 3 in 100 may have two in common. The chance that two people can have the same exact repeats in twelve sequences is 48 out of 10 billion, according to Lyle. Using DNA fingerprints to identify an individual even works on twins. Although their DNA sequences might be the same, they have unique patterns in their fingertips. 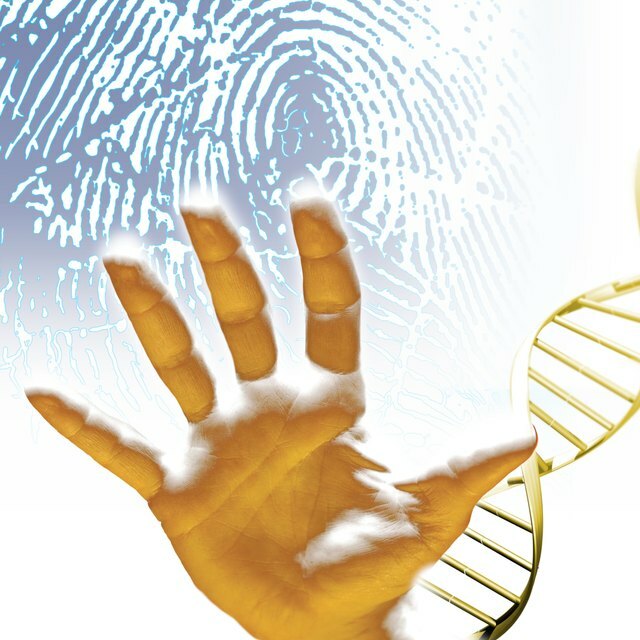 DNA fingerprinting is used in paternity tests and forensics. Scientists can positively identify the victim or perpetrator of a crime from DNA left at the scene, solving crimes that occurred 20 or more years ago. In the future, Lyle and others predict, people will be able to use DNA fingerprints for personal identification. Current research includes diagnosing inherited disorders in newborns. Chipera, Angie. "What Makes DNA Fingerprinting Unique?" Sciencing, https://sciencing.com/dna-fingerprinting-unique-6497207.html. 25 April 2017.